In addition to the stress of planning and preparation, many brides and grooms-to-be get the jitters before the big day. What better way to calm your nerves than with a few indulgent spa treatments? Anyone who’s ever planned a wedding knows how stressful it can be. Throw in pre-wedding nerves, and you are likely to be in need of some downtime before the big day rolls around. If you are hosting a destination wedding in Thailand you are in luck, as the Kingdom is well-known as a top choice for spa lovers from around the world. Booking a spa afternoon with your bridesmaids or groomsmen or even having a professional masseuse visit your private villa the evening before the wedding ceremony will restore you to zen-like calm in no time. Below are a few favourite treatments to leave you feeling and looking good in advance of the big day. Thai people refined the art of the simple back rub thousands of years ago. IN fact, it is believed that traditional Thai massage was developed by Jivaka Kumar Bhaccha, a doctor to the Lord Buddha himself. More rigorous than many other kinds of massage, Thai massage is a particularly good idea if you want to soothe out any aches and pains that might be plaguing your muscles after a long flight and long days of wedding preparations. The masseuse bends and twists your body into different yoga-like poses, and the joint mobilisation and acupressure helps release any muscle tension you are carrying around. A rejuvenating hot stone massage taps into the revitalising power of heated marble stones. The spa therapist applies the heated stones to pressure points on your body to increase blood circulation, which relaxes your muscles to allow for a more intensive massage, working on the principle that heat expands the blood vessels to relax muscles. Cold stones are sometimes used in addition to hot ones in order to promote a detoxification effect, boosting your body’s lymphatic system to flush out lactic acid which causes muscle aches and cramps. Indulge in a hot stone massage the night before your wedding and you will sleep like a baby and wake refreshed and ready for the celebrations ahead. Body scrubs in Thailand offer up a feast of flavours that make them one of the Kingdom’s most irresistible spa treatments. The process normally begins with gentle exfoliation, as the therapist massages a mixture of sea salt, oil and zesty aromatic oil into your skin to remove any dead cells. After about fifteen minutes, it’s time to shower off all of the ingredients and begin the hydration and massage portion of the treatment. Depending on the result you want from your scrub, the therapist will usually give you a choice of essential aromatherapy oils for the post-scrub massage, such as jasmine for relaxation or lime for invigoration. When you think of a facial treatment, the first thing that normally comes to mind is the typical exfoliate, cleanse, tone and moisturize routine. However, as well as using a whole host of natural ingredients to make your skin shine, facials in Thailand also include a blissful facial massage, and as the face is full of nerves and pleasure points, it feels just great! 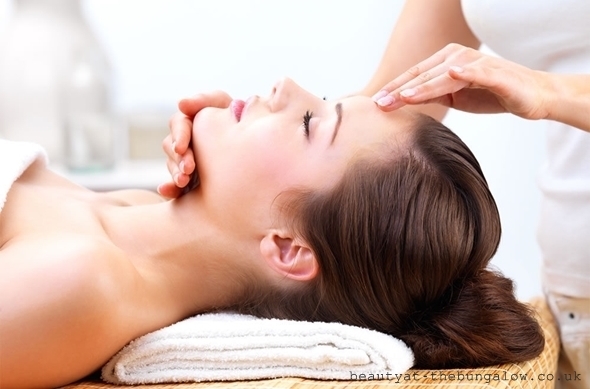 Massaging the face also stimulates lymphatic vessels and encourages toxin elimination. One word of caution before booking your facial – due to the treatment’s fabulous detoxifying properties, it’s probably best to book it a few days before your wedding day to give your skin time to fully rid itself of toxins. Foot massage has been practiced across the globe for many centuries as a route to relaxation and wellbeing. In addition to providing a superb hour of relaxation it also comes with a host of other health benefits. Unsurprisingly, Thailand is one of the best places to indulge in a foot massage and the techniques used are often considered an alternative form of medicine. The treatment is based on the principles of reflexology, and the therapist will therefore target pressure points in your feet that correspond to parts of the body that are holding onto tension – the perfect answer to those pre-wedding nerves.